These presentation slides 26097 are complete compatible with Google Slides. Simple download PPTX and open the template in Google Slides. 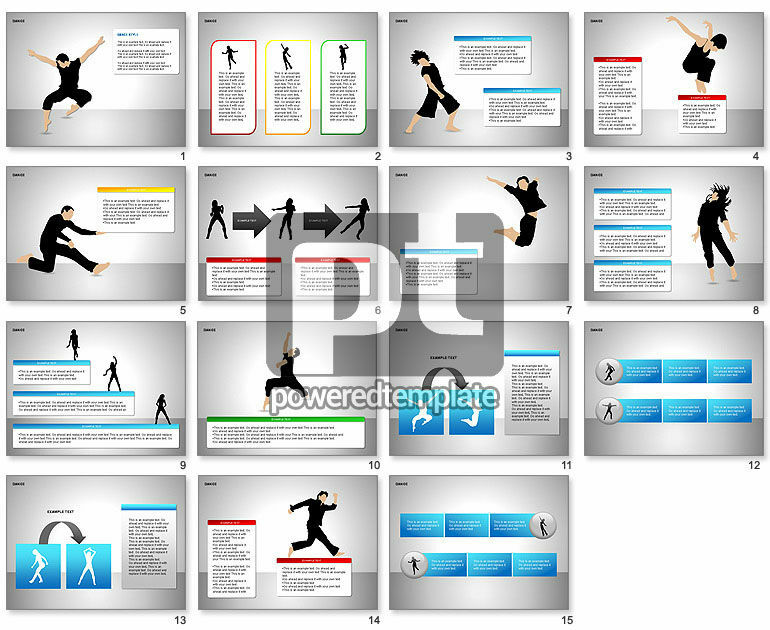 Great template with dancing people figures would be a great help in presentations on dance schools, dance moves, dance styles, dancing and dancers, etc.